British grandmother Kay D’Arcy, a former midwife, has trained in tai chi and studied Filipino stick fighting in order to land a role in a martial arts show where she will play Agent 88 – “the world’s most deadly assassin”. Kay D’Arcy, 79, takes the lead role in the Hollywood series which is described as “an extreme comic book style cinematic romp, full of martial arts action, killer special effects and unforgettable characters”. Her role is “an 88-year-old British woman on the verge of Alzheimers” who “may appear to be a decrepit old lady, but in reality she is a highly skilled warrior assassin”. The web series, directed by Digger T. Mesch has been made possible thanks to money being raised through Kickstarter, a fundraising platform to finance independent art forms including films and plays. Producer Jan Utstein-O’Neill said Kay D’Arcy “blew us away” in her audition with her martial arts moves. “What impressed us is she could go from being really frail, and looking like she could break, to a totally empowered woman,” he told the L.A Times. Kay D’Arcy’s rise to fame is as remarkable as her kung fu abilities. She was a retired midwife living in London, when ten years ago, at the age of 69 and against the advice of her family, she decided to up sticks and move to L.A. to pursue an acting career. It’s taken ten years for her to make her big break and she hopes her story empowers other people to make a change in their lives by proving you’re never too old to enjoy life. 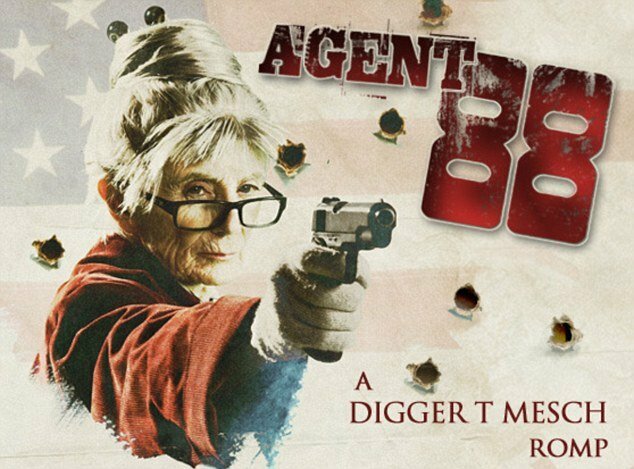 Speaking of her role in Agent 88, she said: “This project is very special to me as it’s showing a senior making the most of the last years of her life. “She’s not just a doddering woman in a nursing home, she’s not being passed over and used by her family. Kay D’Arcy added that she hopes her role in the martial arts film helps change people’s attitudes towards the elderly and their capabilities.